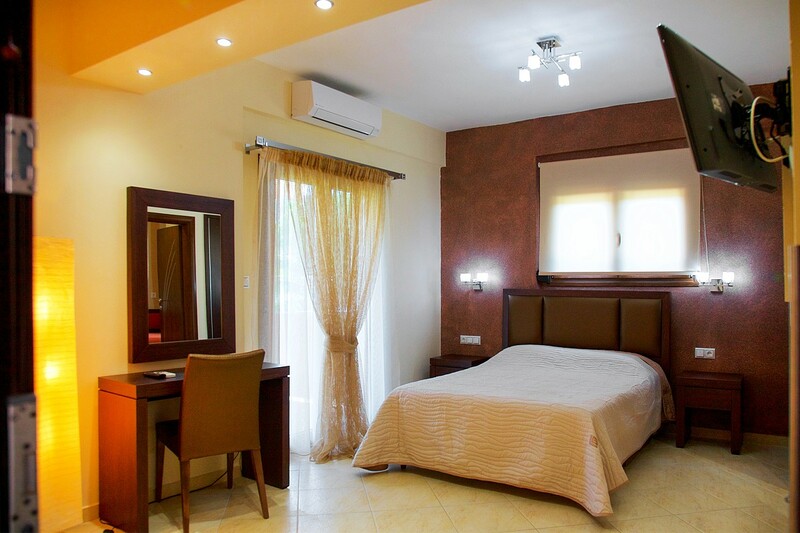 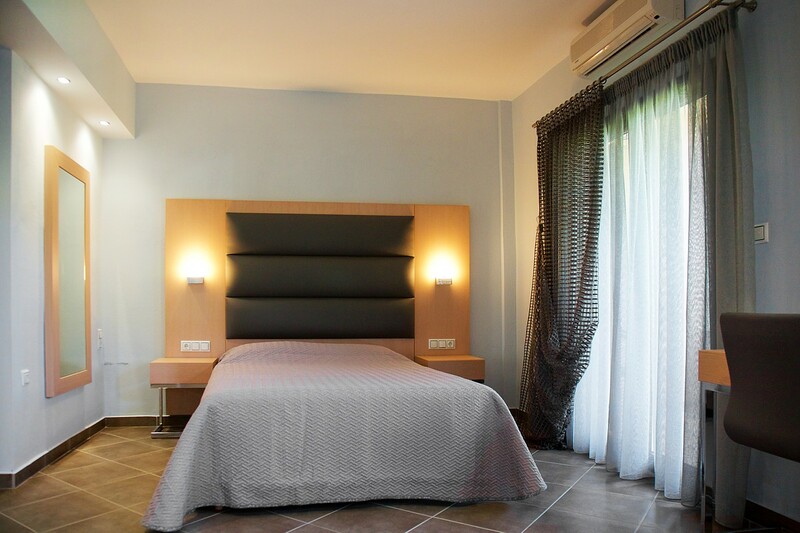 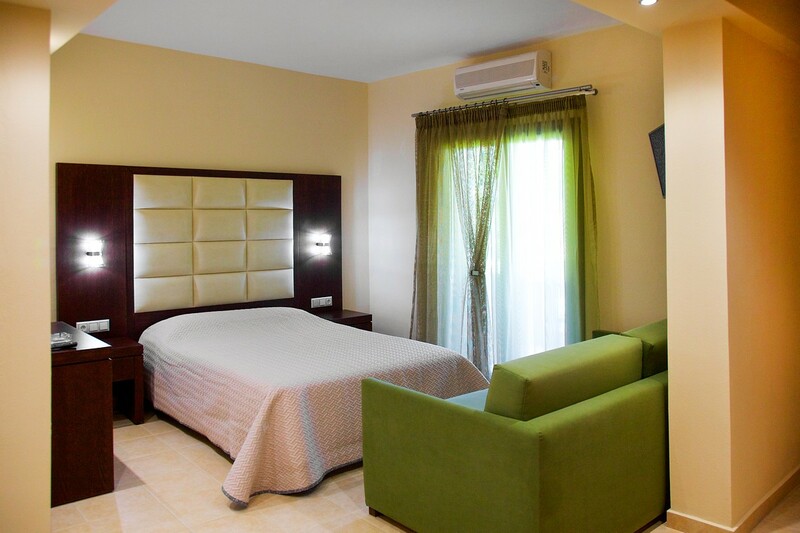 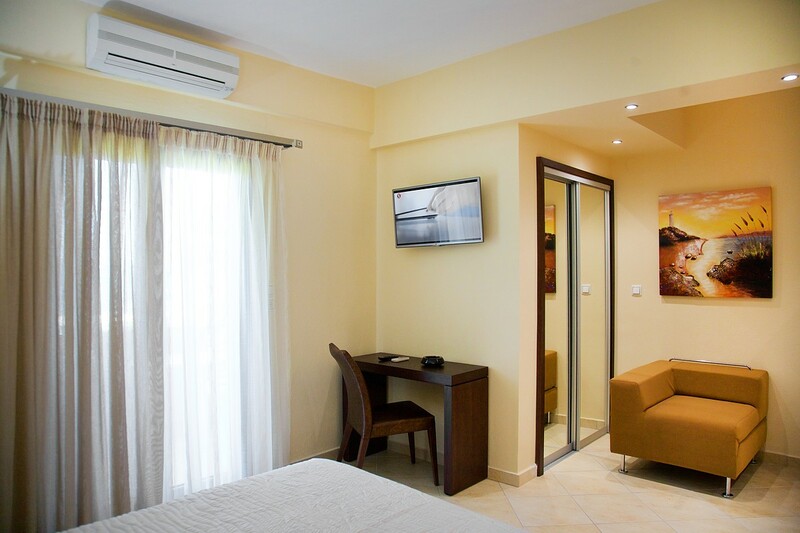 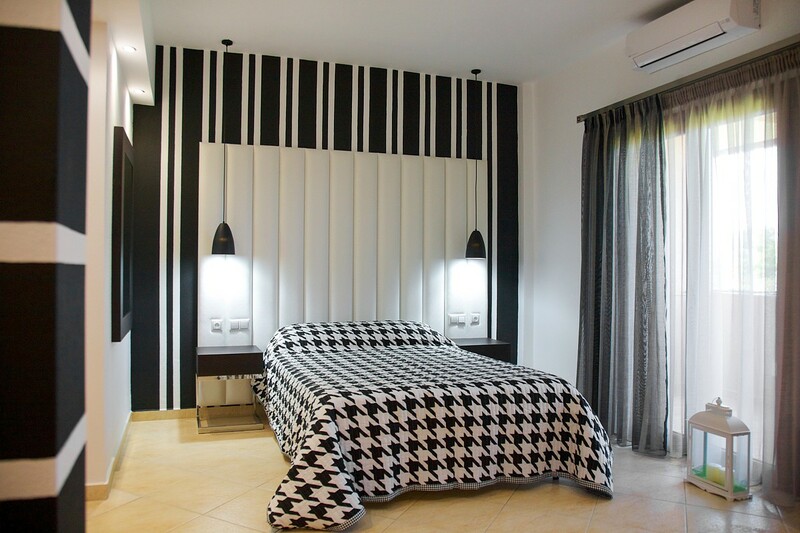 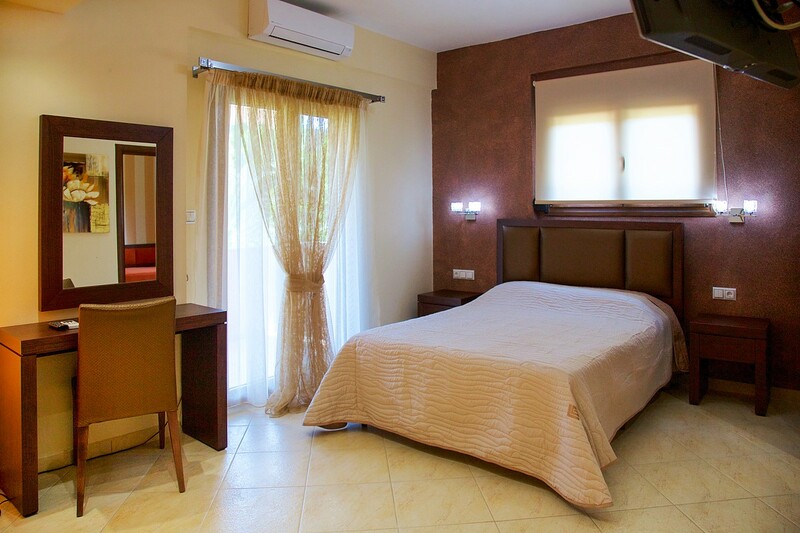 Accommodation consists of studios which can host up to 3 persons, and apartments with two bedrooms which can host up to 4 persons. 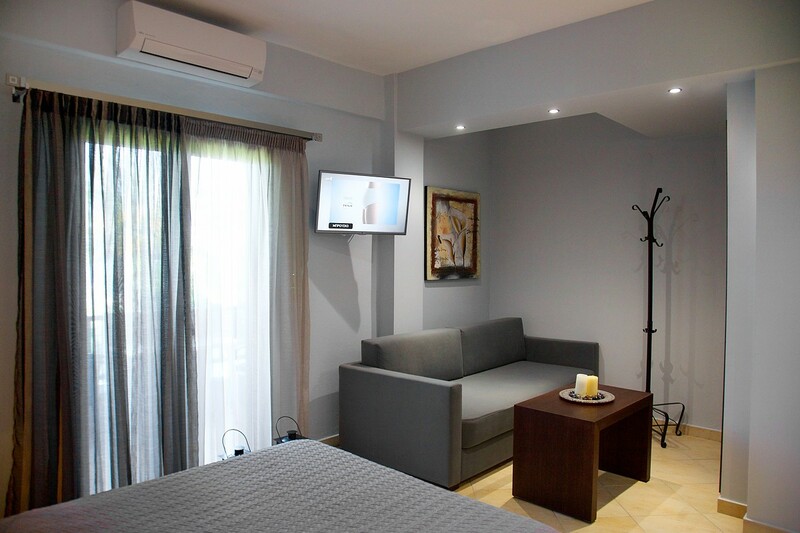 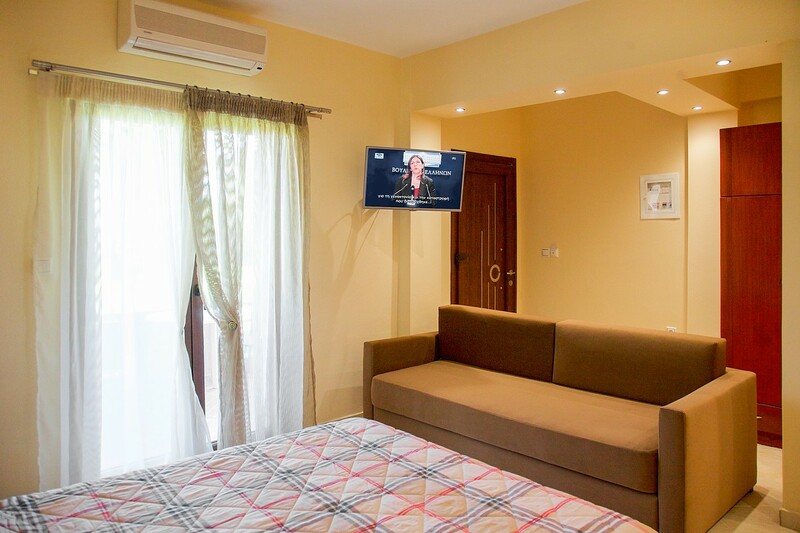 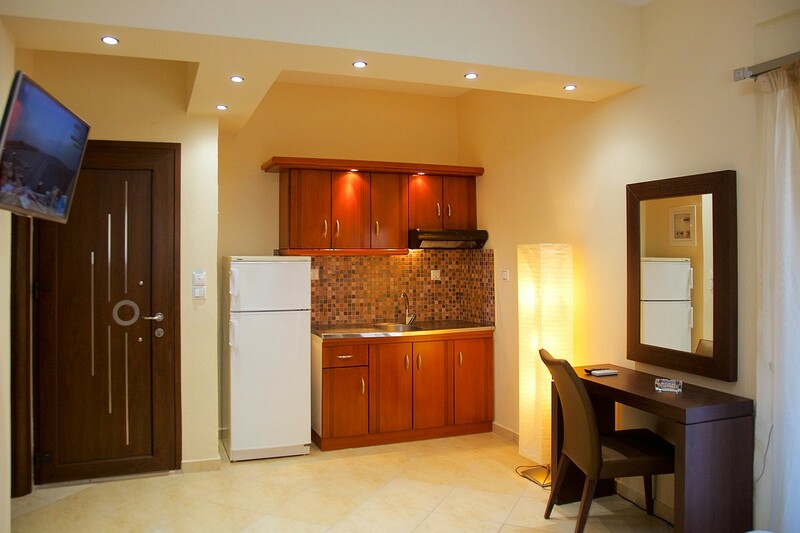 They all have a fully equipped kitchen with fridge and cooking untensils, coffee machine as well as espresso machine, WC/Shower, a haidryer, satellite TV and air-conditioning (A/C). 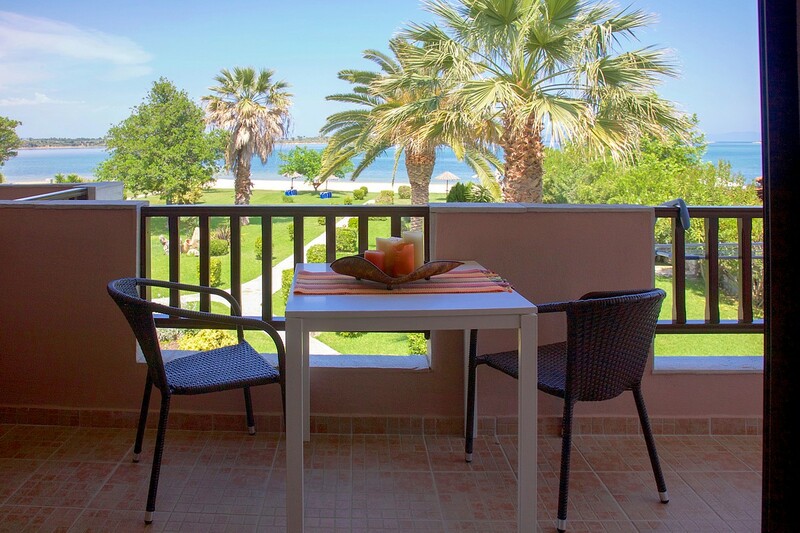 All apartments and studios have large verandas with a view to the sea, while these on the ground floor have direct access to the garden. 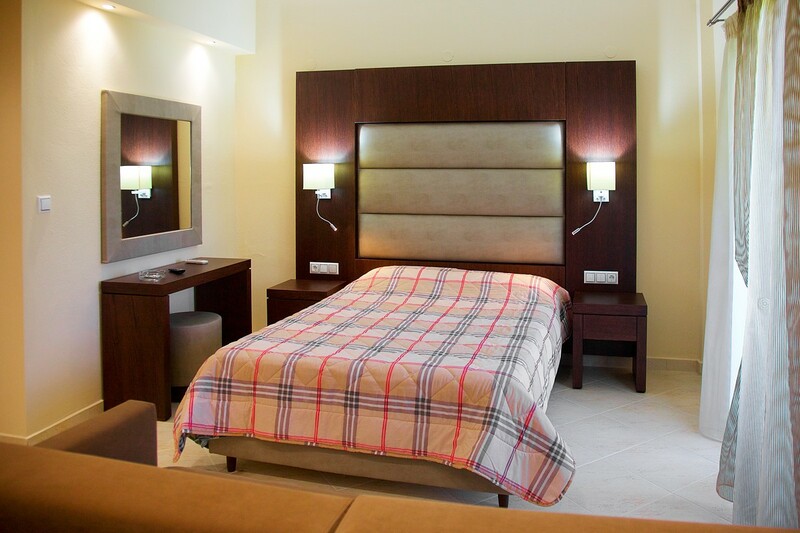 Room cleaning and changing of linen is done every three (3) days. 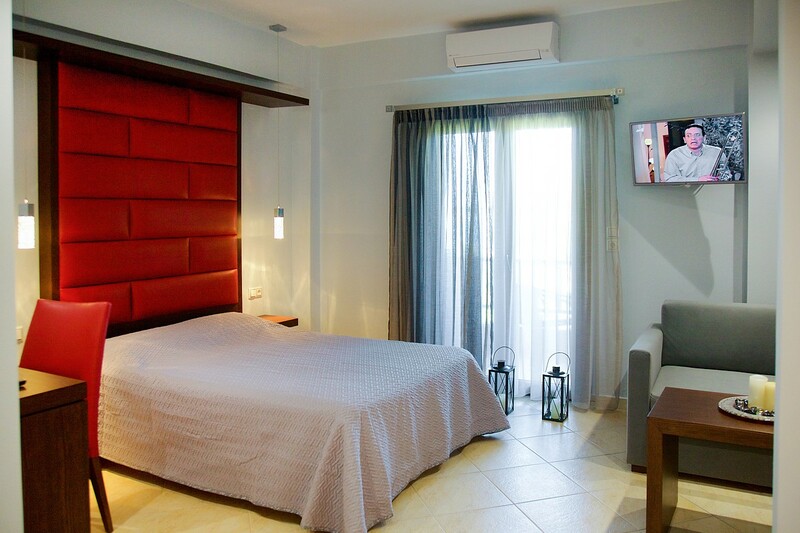 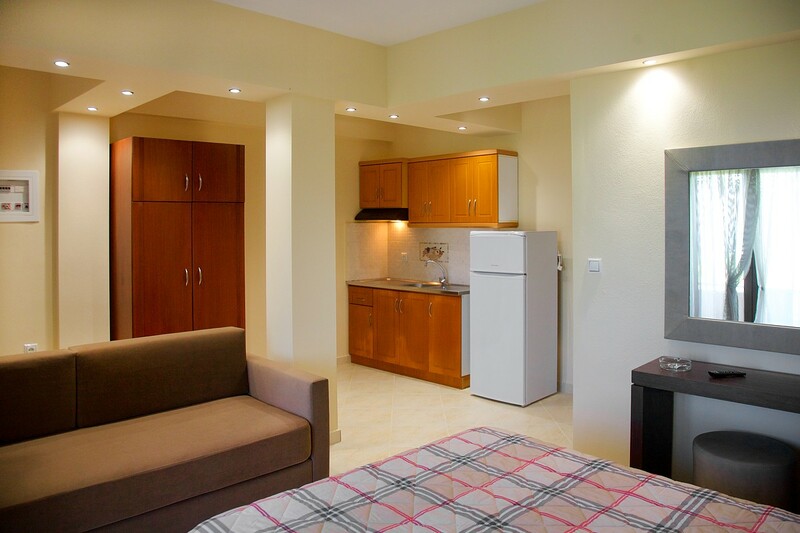 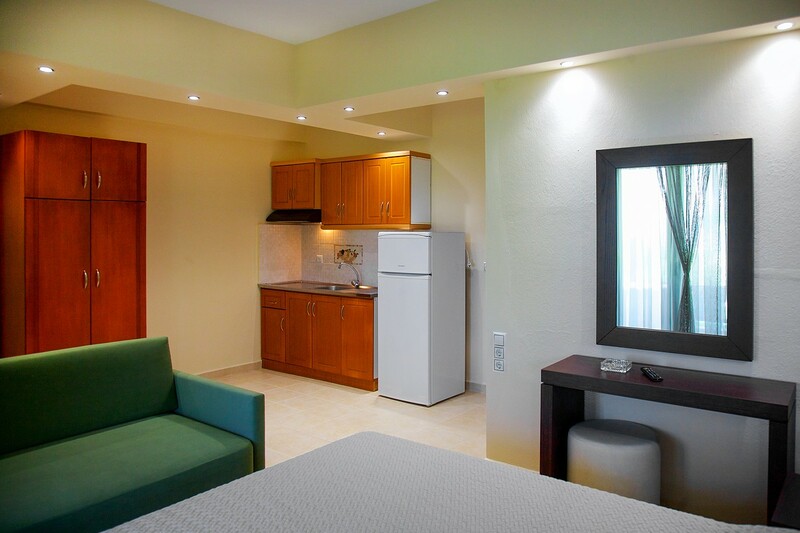 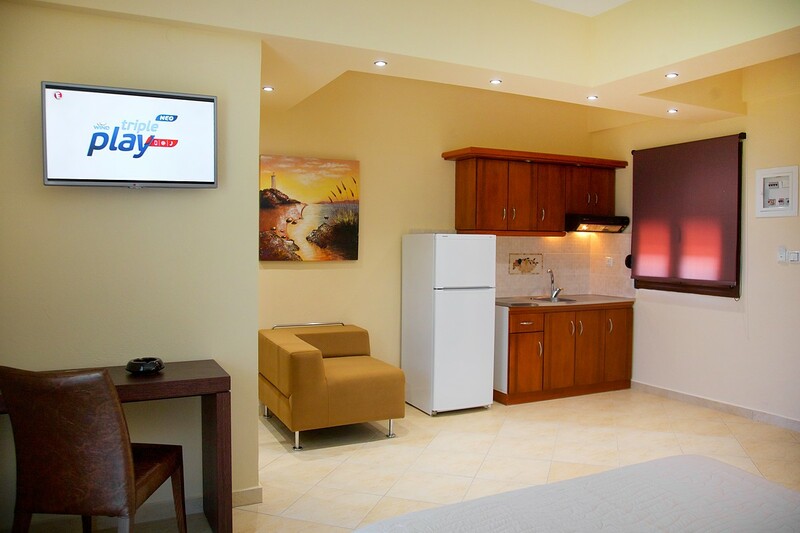 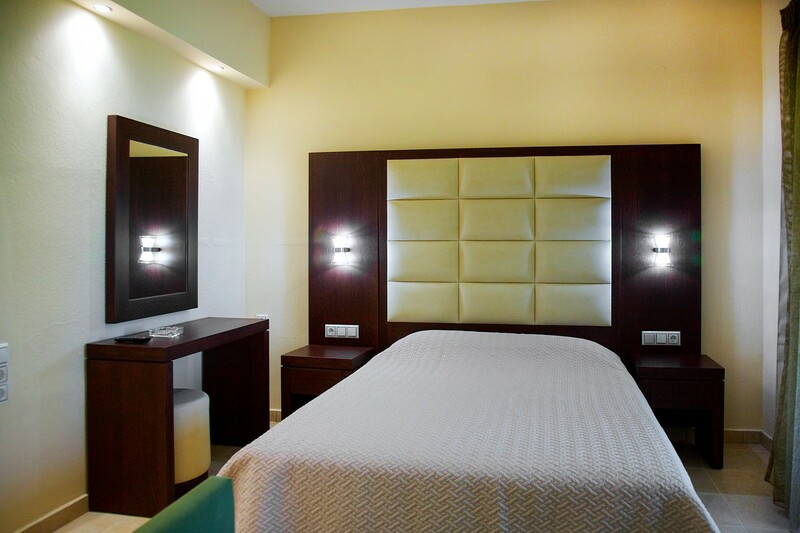 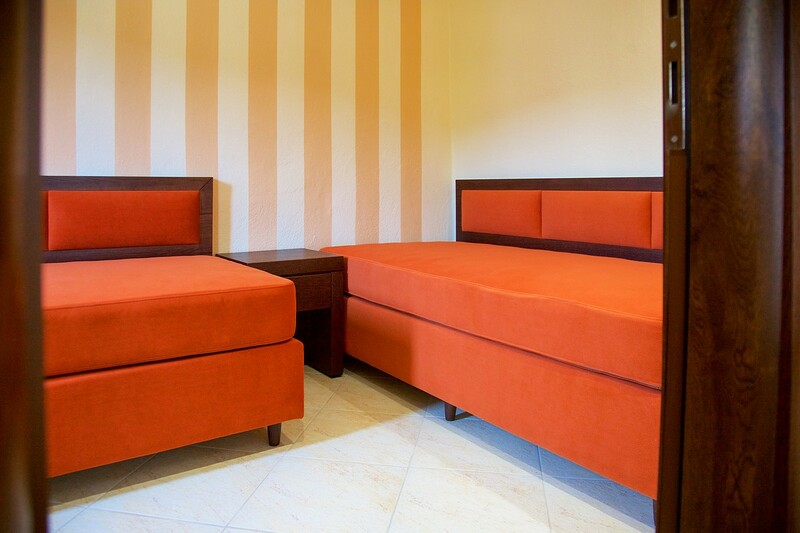 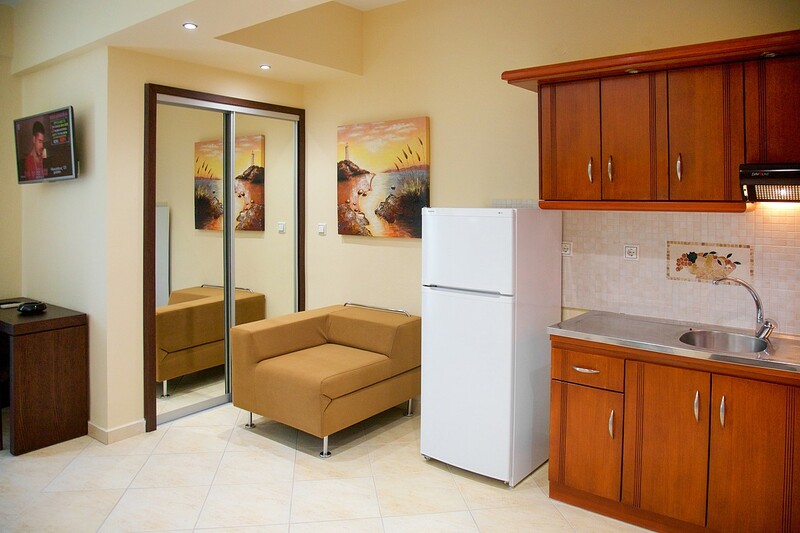 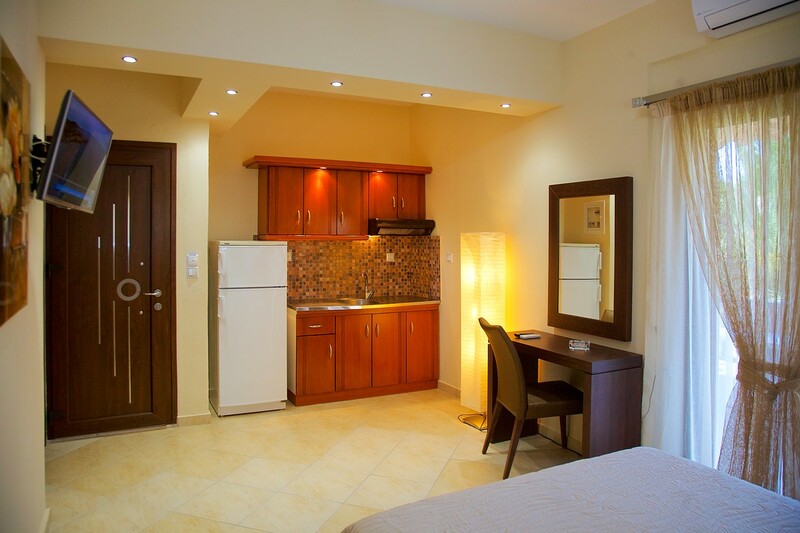 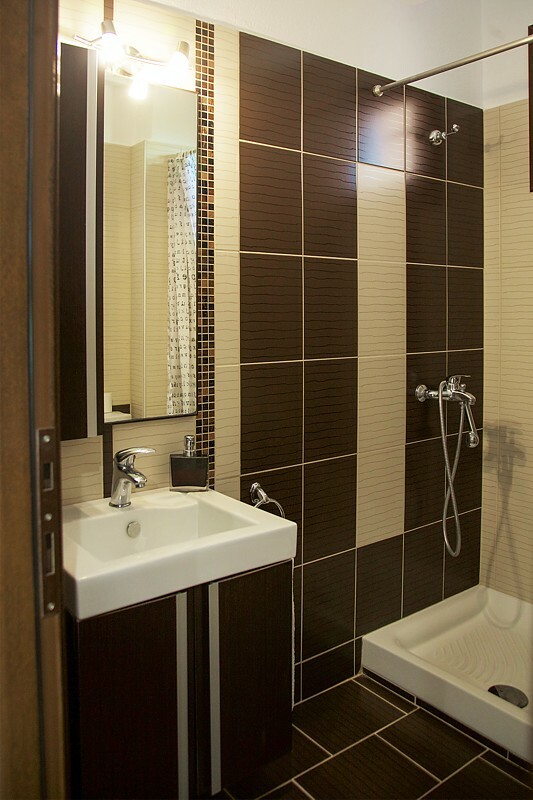 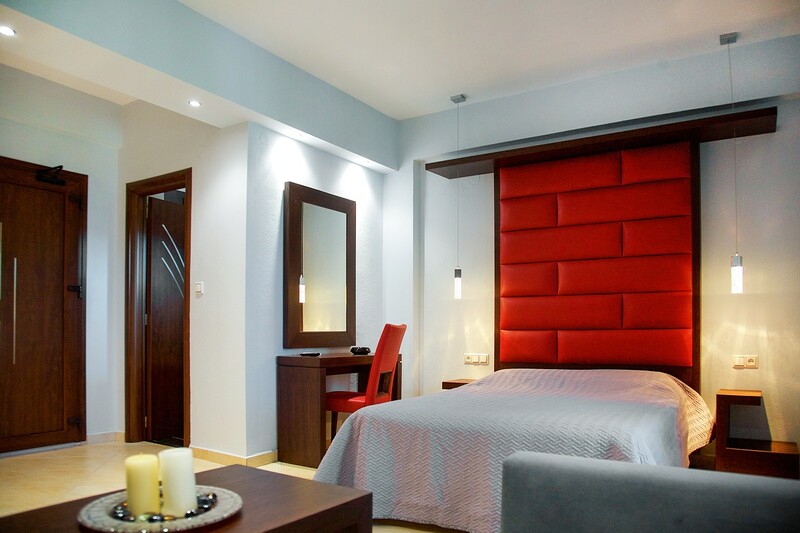 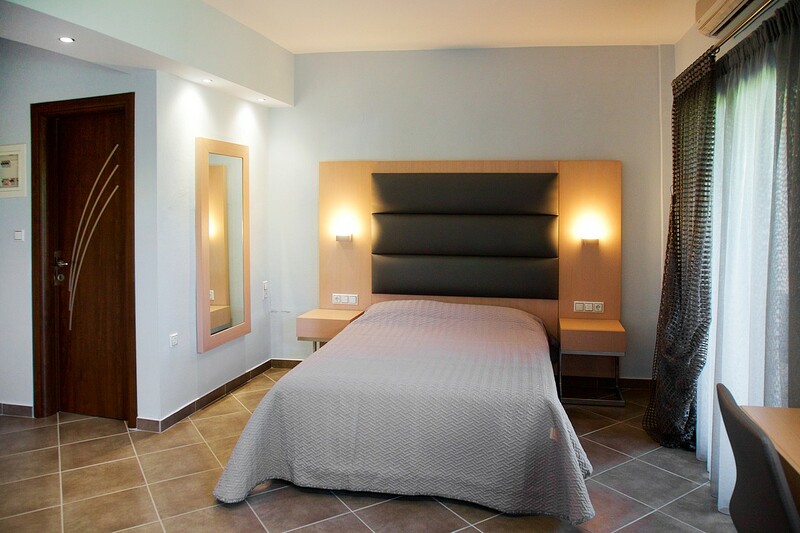 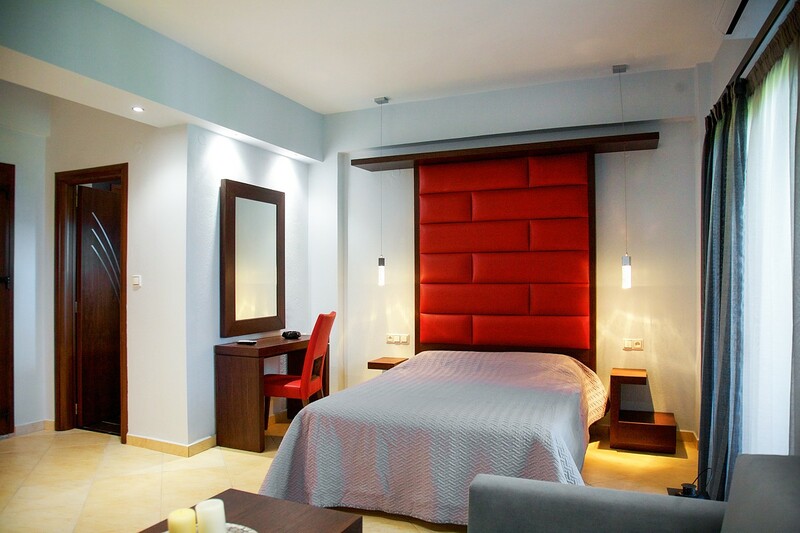 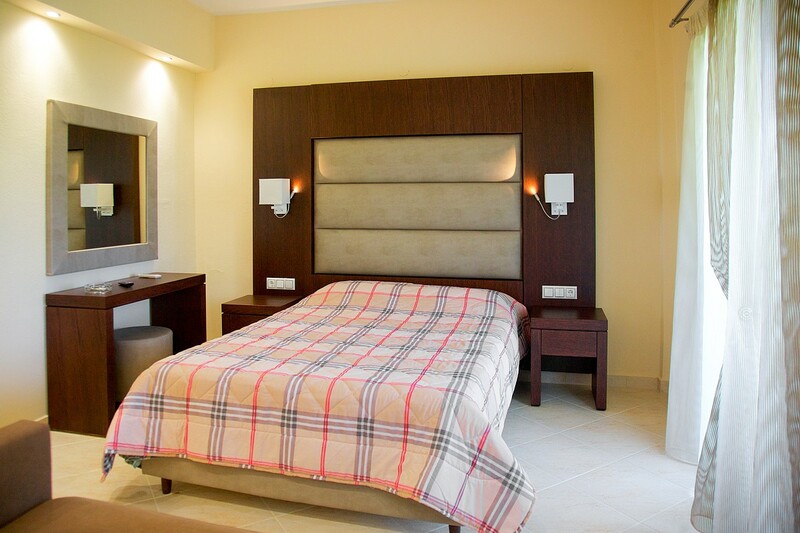 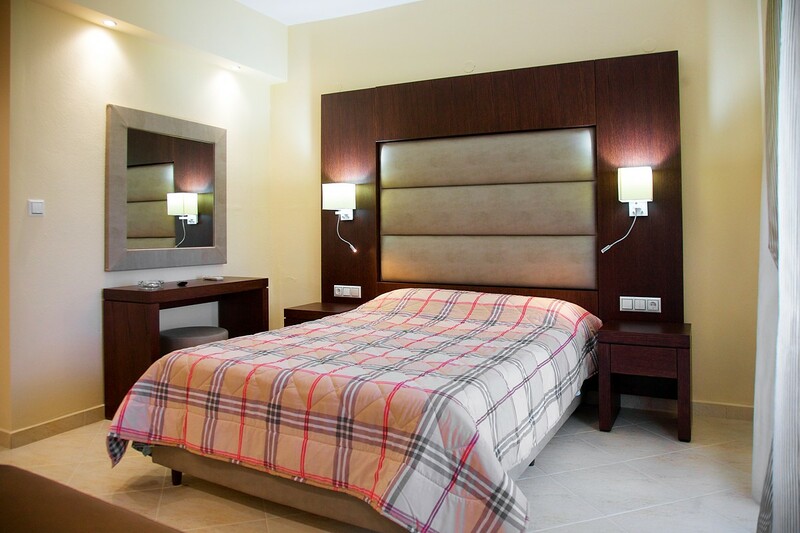 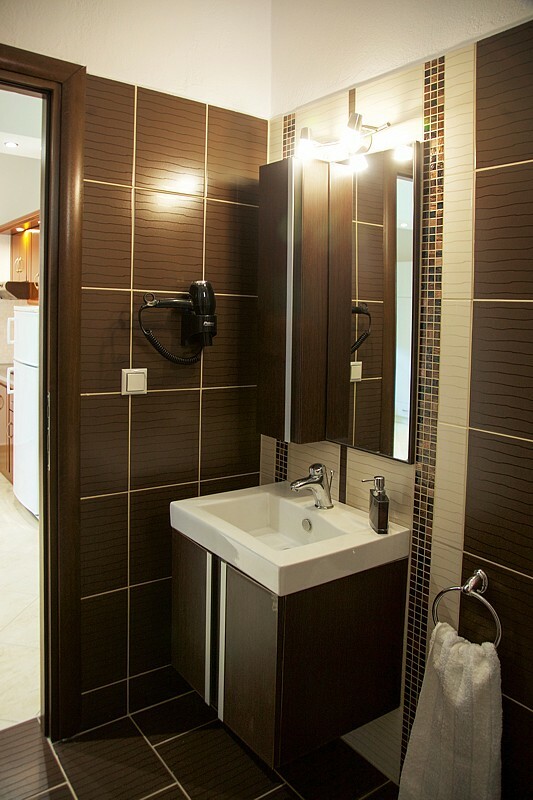 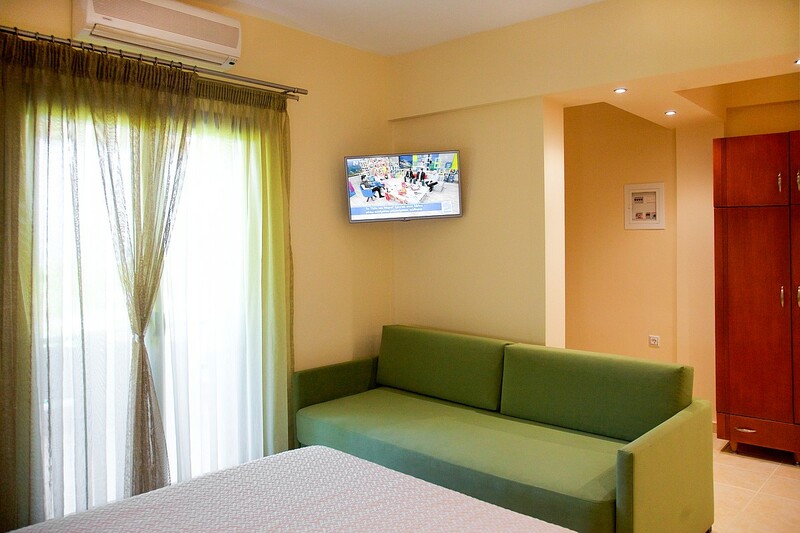 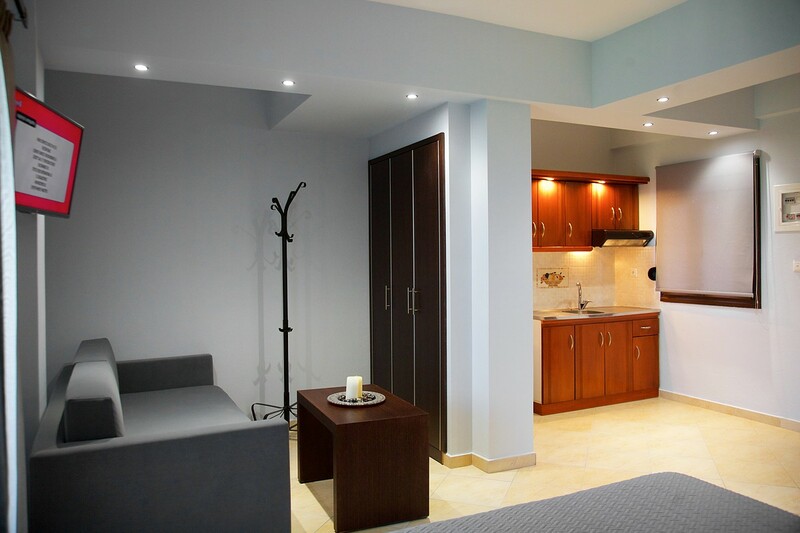 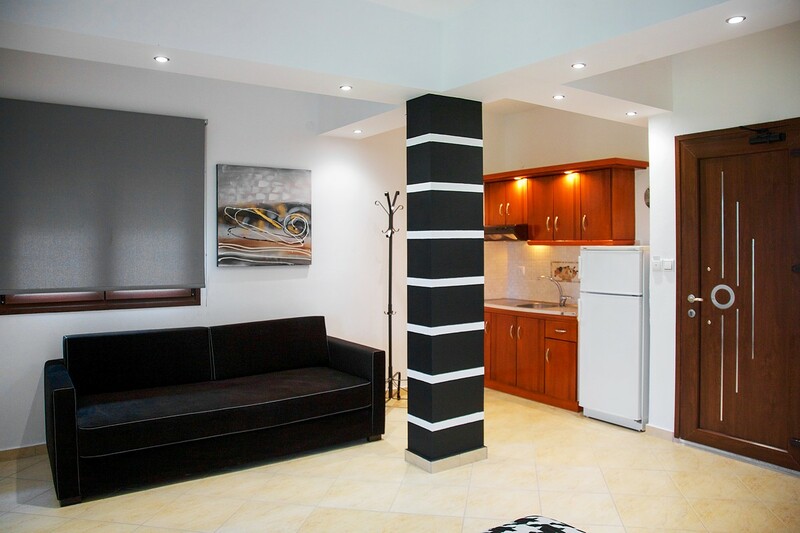 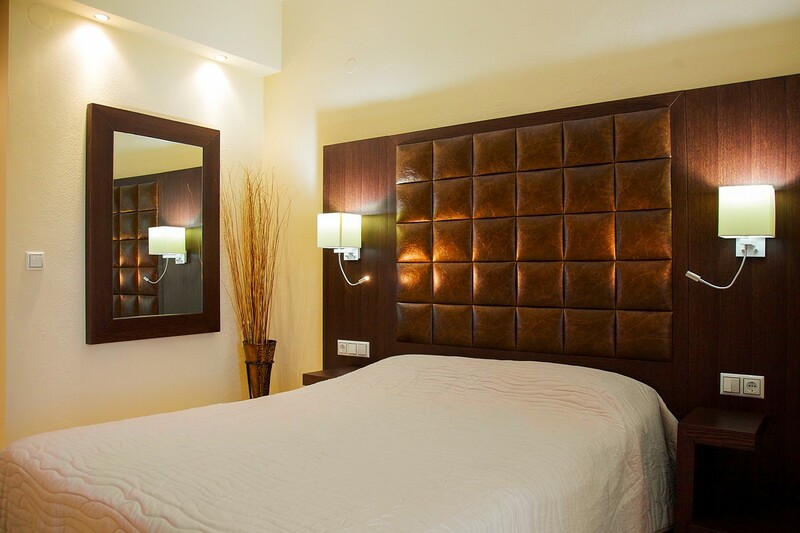 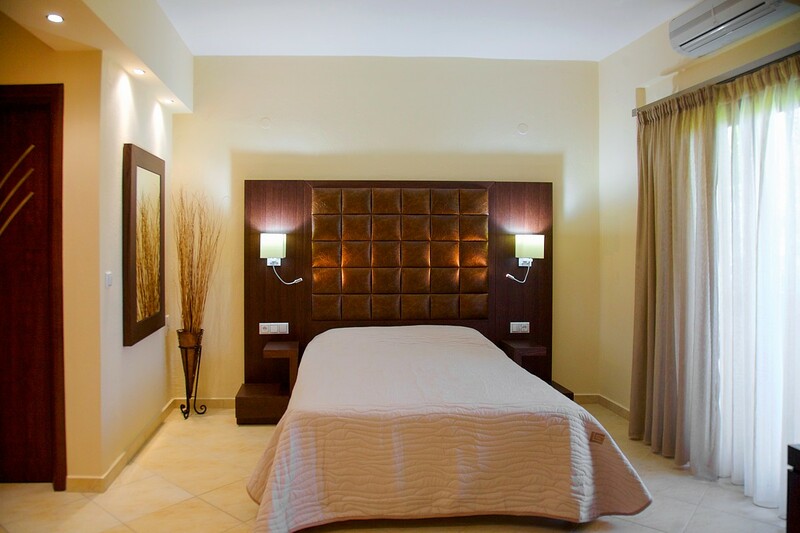 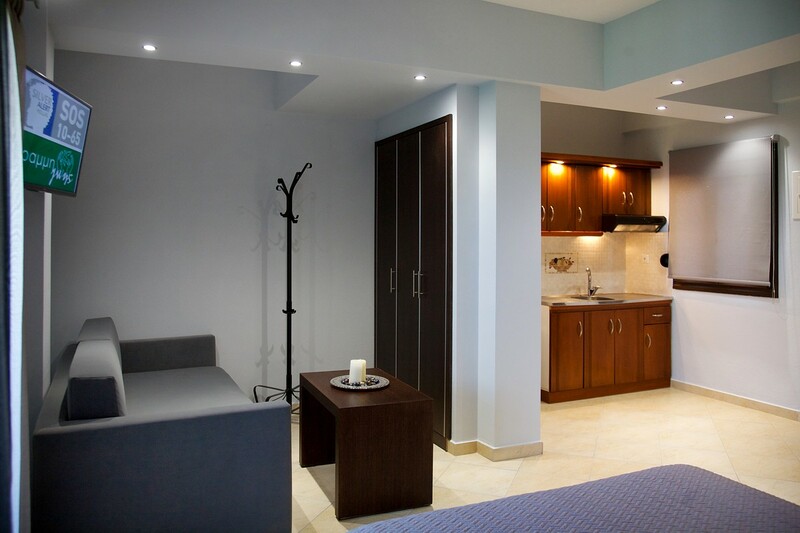 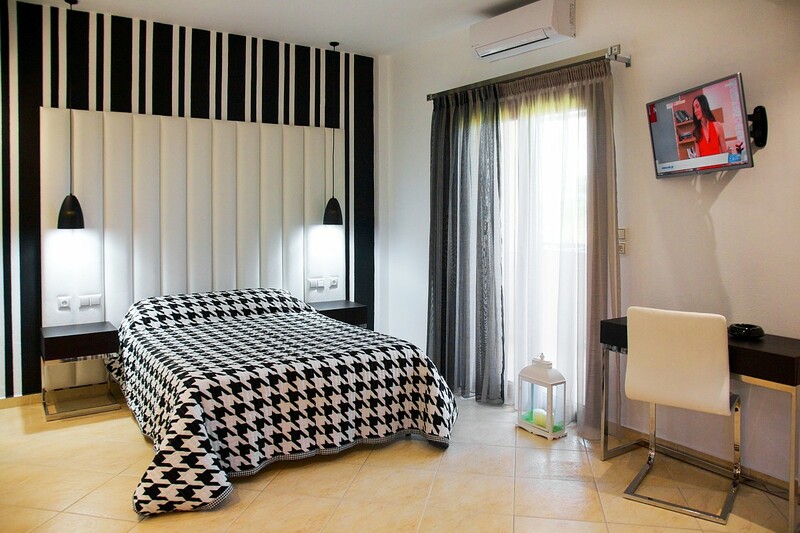 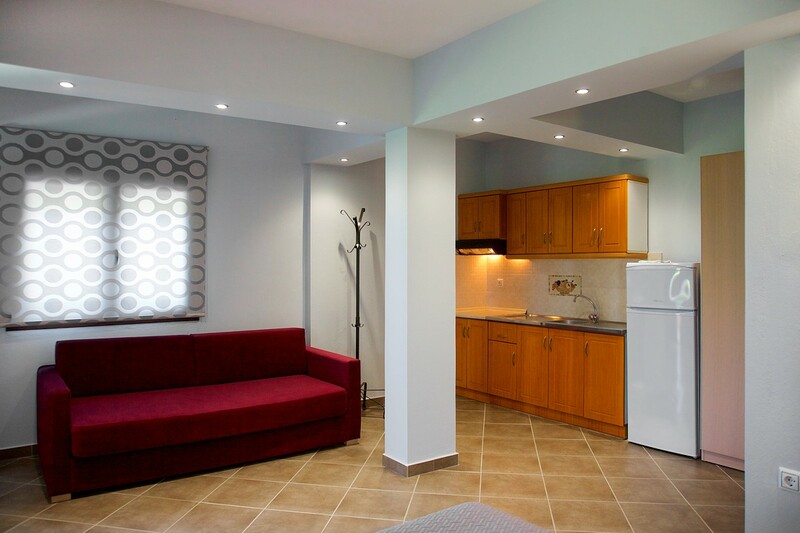 All studios and apartments have been renovated in 2015!